Offering you a complete choice of products which include vibro grader screen. We are the manufacturers of Vibro Grader Screen. This is a Vibro Grader screen Powered by 2 nos Vibratory motors . 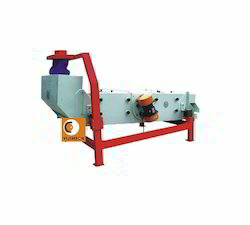 Vibro Graders are mainly used in food and Agro Industry and generally offered in MS . The machine is offered with 1 or 2 screens .